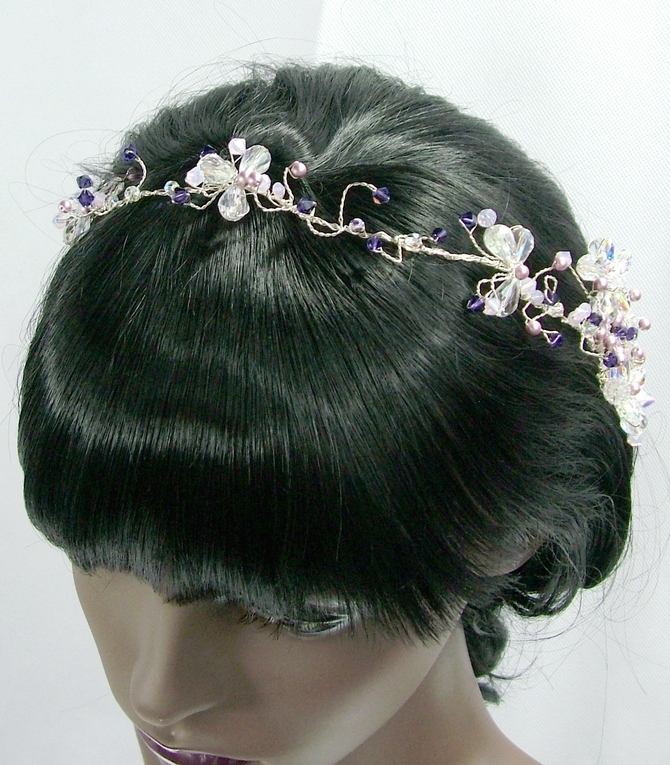 Statement bridal hair vine with Swarovski Purple Velvet, Crystal ab and Pink Alabaster crystals plus Powder Pink and Powder Gold Swarovski pearls. 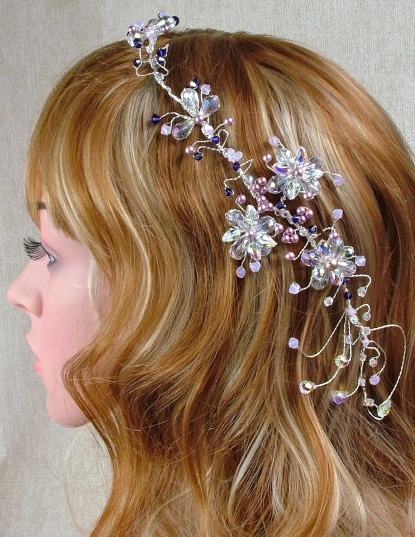 Measuring just over 17" / 45cm, this vine has crystals and pearls going over your hair which then open out to a wonderful and intricate flower shaped crystal and pearl detail along the side of your head. 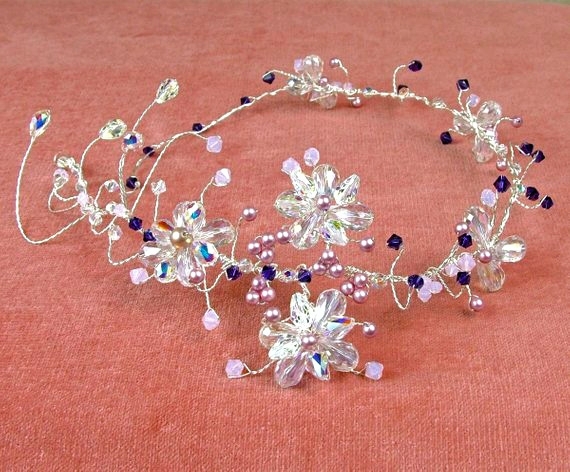 I've used all Swarovski crystals and pearls so you are guaranteed breath taking sparkle! 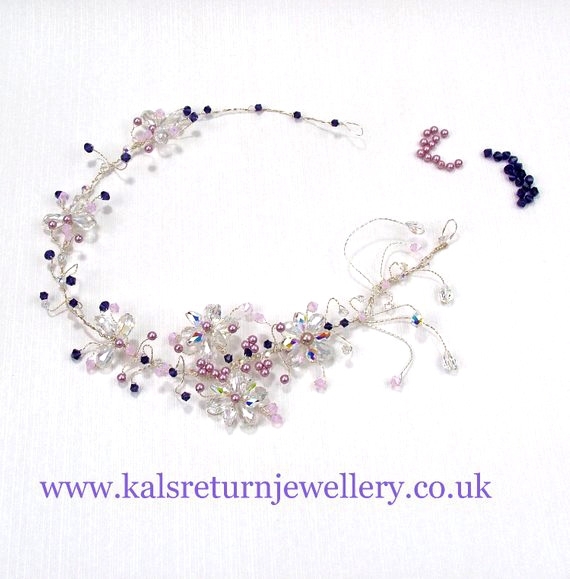 Although this piece is long, it's flexible, easy to wear and pin in with grips. 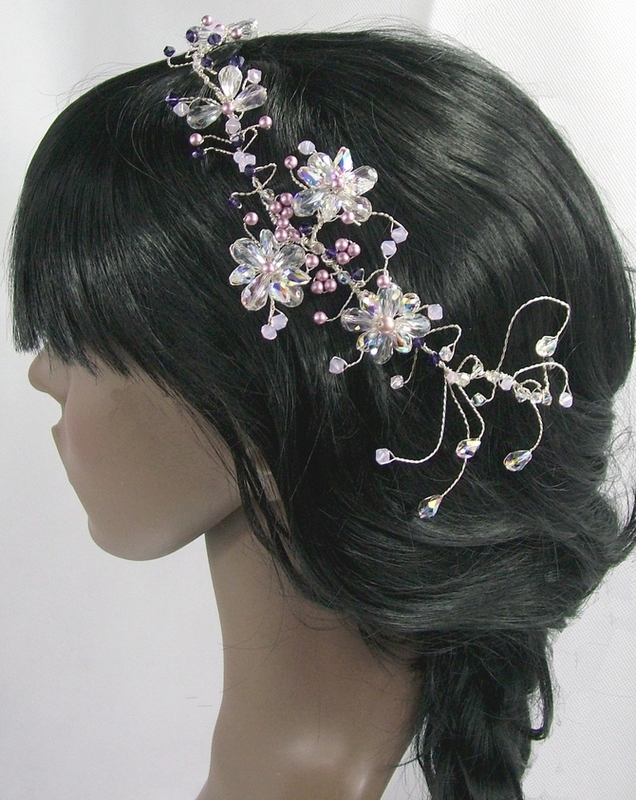 Some of the crystals and pearls can also be positioned so that you or your hairdresser can position the vine in a way that is perfect for your hairstyle. If you would like to continue with this theme, I can make matching earrings, necklace, bracelet and bridesmaids hair pins. 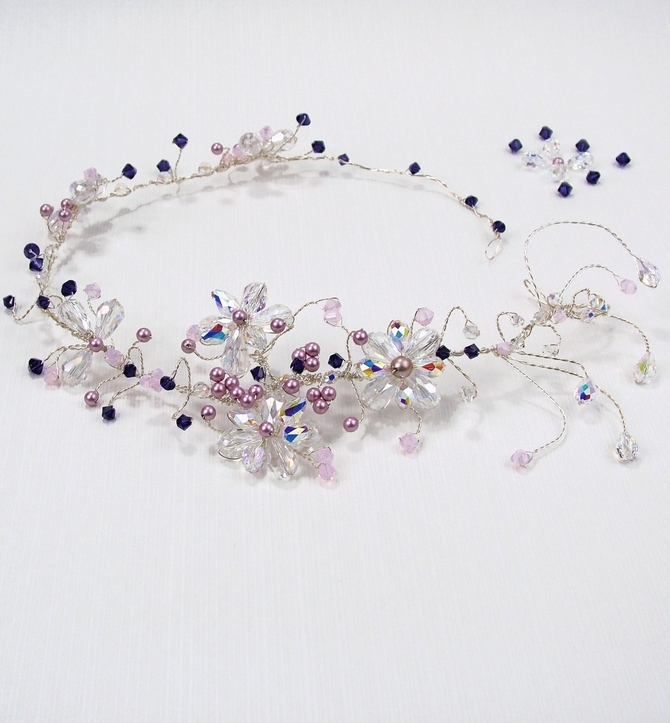 This piece is ready to ship but I can create this same design in your colour. Gold wire is also available if you prefer. Any questions? Please email me and I will reply within 24 hours.